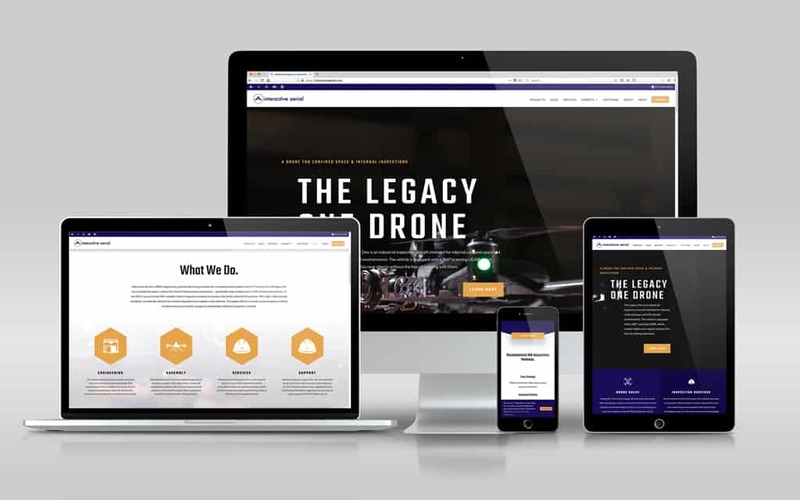 When our friends at Interactive Aerial told us that they were ready to take their website to the next level, our response was: “let’s do it”! The team at interactive already had a pretty great site built on WordPress, which is our all-time favorite CMS. However, the theme they were using was really restrictive, difficult to use, and just plain holding them back. They explained that they needed a solution that allowed them to control of their content as well as being better suited for running their search engine marketing campaigns. So we got to work building them a WordPress website specifically designed to make it easy for them to administer and allowed them to to enhance their SEO and PPC programs. This website features the Divi visual builder for WordPress. This makes adding, editing, and rearranging things like text and imagery hassle-free and dead-simple. Paid-search is an integral part of Interactive Aerials marketing mix. So we built custom landing page templates to make spinning up new campaigns quick and easy. We added GDPR compliant features — this is simply good business practice and good for reputational image, especially for a global company like Interactive Aerial. 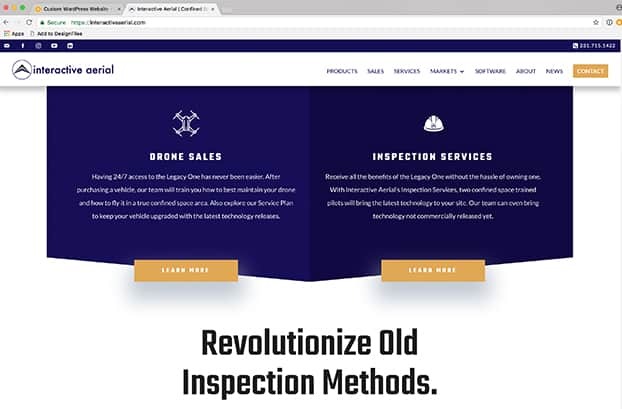 We designed and developed an new WordPress website that perfectly matches technology-based attitude and forward-thinking attitude of Interactive Aerial. We created a big, bright, and bold WordPress theme, with an easy-to-use visual builder on the back-end. Not only does this allow Interactive Aerial to easily edit their website content, but it also allows them to fine-tune their PPC and SEO campaigns. Building new landing pages couldn’t be easier!